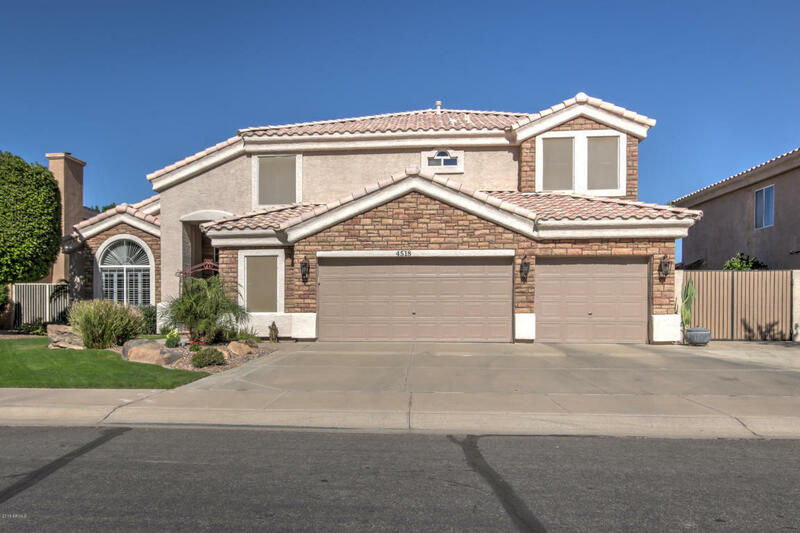 Check out this meticulously maintained home in the coveted Highland Ranch community, near the end of a cul de sac in the Gilbert School District! This home has it all: a NEWER ROOF & WATER HEATER! A professionally landscaped backyard with a stuccoed & painted block wall, a HEATED pool & spa (recently RESURFACED with NEWER: POOL PUMPS, SALT SYSTEM & DIVING BOARD. The 3-car EPOXY garage has an AIR CONDITIONED storage room! Inside features an OPEN CONCEPT: a gourmet kitchen with NEW SS appliances, including a double oven! Family room has a complete THEATER SYSTEM: projector, screen, surround sound & subwoofer. Downstairs has a full bed & bath, formal living & dining areas with upgraded crown molding. Updated light fixtures & faucets throughout. The floors have been professionally cleaned.